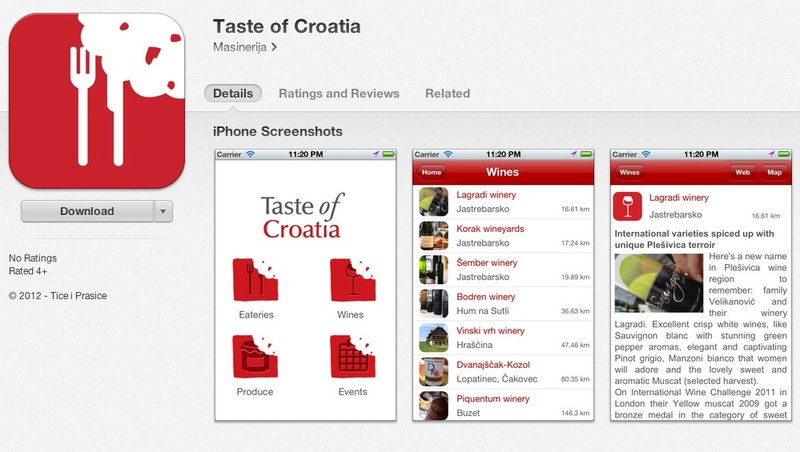 In my opinion the best app for food and wine in Croatia is Taste of Croatia. Many people think a tour guide is going to be boring and akin to following someone holding up an umbrella saying walk this way and just spouting out lots of dates and names. But that is not the case when you work one on one with a local guide. The local tourist board can help you locate a qualified guide to suit your needs. For foodies and wine enthusiasts looking for a customized experience in Zagreb, Istria, and other parts of Croatia, I recommend Mladen Car of Funky Zagreb. Here is Mladen ’s Trip Advisor page. Rent a car and wander around in the back country and hinterlands of Istria. You’ll discover wonderful places well off the coast-side tourist trail. Some of the best wineries are very small operations and need to know well in advance if you will be visiting in order to welcome you for a wine tasting. Another good reason to work with a local guide is they can facilitate winery appointments that may be difficult to secure on your own. 5. Pack an extra bag for all your wine and cheese and olive oil purchases. It’s well worth the second bag fee for the bounty of flavors you’ll want to take home with you. 6. Tell’em Marcy sent you! –Well, that will only work in a very few places, but give it a try anyway.